A Glad Diary: Is It Okay to Wear Makeup While Working Out? I do this most of the time and I wonder if it's really okay. Let's find that out together then. When we exercise our body temperature increases causing our pores to open up. And streams of sweat flows all over the body, oh yes, the face is not an exception. With the body temperature rising up, makeup melts. If you happen to wear non-waterproof mascara early that day, please do remove it before working out. You don't want to scare someone else do you? #justkidding Who wants to look like The Joker when no one is filming? Okay, I'm just overreacting. The melted makeup residue could clogged up the pores causing breakouts. We don't want that, right? The worst part is that it causes blackheads and uneven skin texture. Now we know. It's a good practice to clean the face first before working out. Stop being a lazybone! So how do we prepare ourselves before working out? Remove your makeup and wash your face. If you're feeling lazy, use cleansing facial wipes. Apply light serum if you want. Make sure it's oil free. Apply light oil-free tinted moisturizer for coverage. It would be great if it has SPF on it. Or use an oil-free concealer and apply it only to the areas where you need to cover. Use waterproof mascara. No raccoon eyes please. Apply lip gloss to add a tint to your lips. Blotting paper. Use this to blot out the oils on your face. Lastly, tie your hair and wear proper workout especially for your feet. Nobody wants injuries. You might want to check out my post : Whats your jogging attire? After a good workout, give your face a good cleansing all over again. Experts suggest to do this before your pores tighten up. And don't forget to rehydrate and drink lots and lots of water. 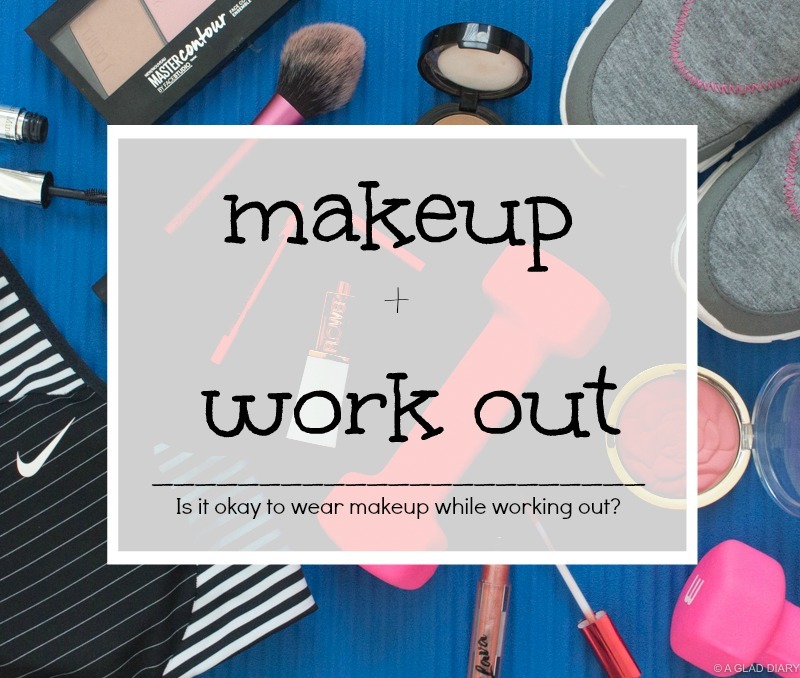 Do you wear makeup while working out? After learning all of these things, would you still wear makeup? Let me know your thoughts in the comment section below.